Martha writes to Mr. Edwards to thank him for the oranges sent to the school for Christmas. She hopes that Mr. Edwards will come visit the school to see the boys and girls that are at the school. 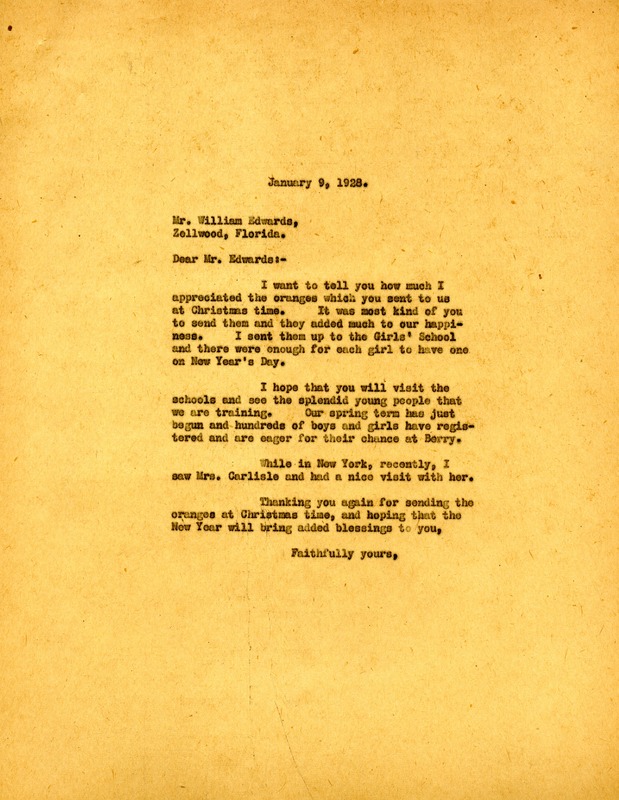 Miss Martha Berry, “Letter to William Edwards from Martha Berry.” Martha Berry Digital Archive. Eds. Schlitz, Stephanie A., Aaron Jackson, et al. Mount Berry: Berry College, 2012. accessed April 20, 2019, https://mbda.berry.edu/items/show/7333.